The 2015 Philippine holidays have been proclaimed by President Benigno Aquino III. 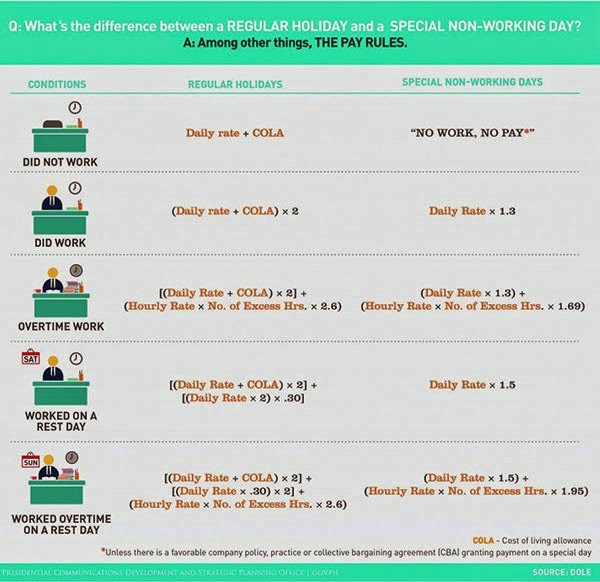 Check out the infographic and holiday pay matrix. There are ten regular holidays, 7 special (non-working) days, and 1 special holiday for schools for 2015. It will be a great year to go on vacation as there will be 9 long weekends including Christmas and New Year. 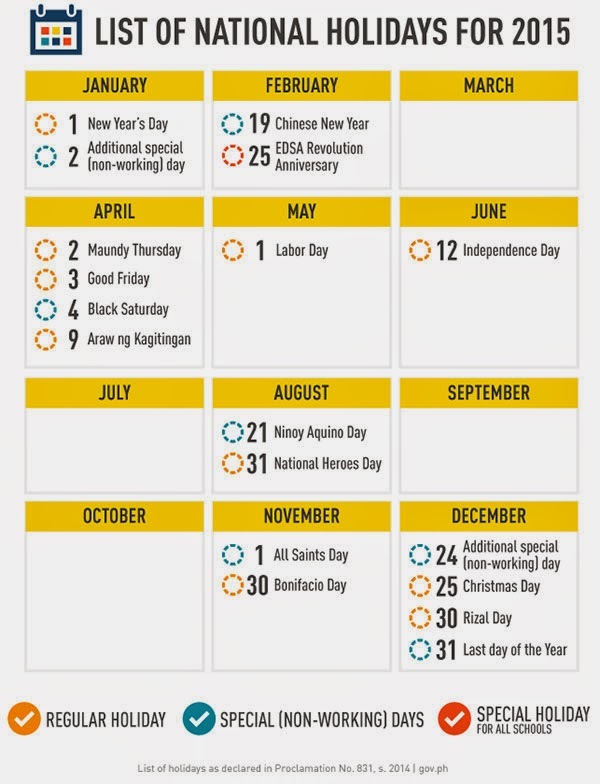 Here's the infographic of the 2015 Philippine holidays, followed by the pay matrix which will serve as guide to public and private workers and employers. The 2015 Philippine holidays have been declared by virtue of Proclamation No. 831, series of 2014.